The 2018/19 NFD season reaches the halfway mark this weekend and our analyst tries to predict the results for gameweek 15. Cape Umoya United still anchor the NFD table and seems like Dominic Isaac’s appointment as head coach hasn’t had the expected immediate impact as he has drawn both his two league games. However, the 36-year old did win his Nedbank Cup qualifier against TS Sporting earlier this month. Umoya Uyavutha are rooted to the foot of the NFD table. AmaTuks head into this one off the back of three consecutive defeats which has taken their winless run to five games. I foresee a cagey affair that will end in a draw. Jomo Cosmos has won one and lost three of their last five games. Ezenkosi had young goalkeeper Melusi Buthelezi making his debut in the 1-0 defeat to Uthongathi and conceded from a corner kick. He might be in action again this week as first-choice keeper Mwenya Chibwe is a doubt due to an injury. Witbank Spurs are in the relegation zone and they head into this one off the back of two consecutive defeats. I think home ground advantage will be the difference and Cosmos will win. Maccabi were thrashed 6-2 by promotion-chasing Mbombela last week in a match that saw tempers flaring and goalkeeper Norman Brad getting sent off in the dying stages. They will be looking to return to winning ways after suffering two defeats on the bounce. Table-topping Stellenbosch are now only three points clear of second-placed Mbombela United after dropping four points in the last two games. They can’t afford to slip up as rampant Mbombela are likely to catch up with them. Put your money on the table-toppers! Royal Eagles currently lie third which is a PSL promotional playoff spot. The KZN side are the form team as they are currently enjoying a four-match winning streak. On the other hand, Ubuntu Cape Town have also done well to remain unbeaten in the last five games with three wins and two draws which has seen them climb out of the relegation zone. My prediction is a draw. Newly-appointed Ajax Cape Town Andries Ulderink has won both his opening two fixtures and this will surely be his sternest test to date against the second-placed team. 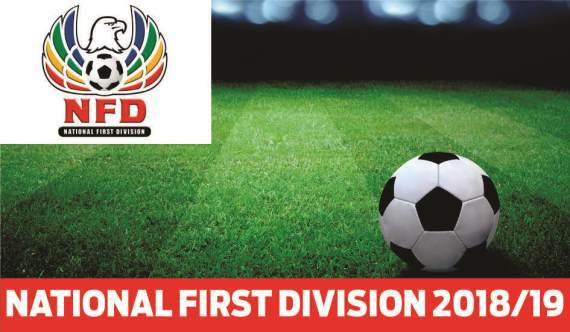 Mbombela United head into this one after winning three matches on the trot. Expect a thrilling encounter in Cape Town and I’ll advise you to put your money on a draw. Sammy Troughton’s arrival at TS Sporting seems to have affected the team negatively as they have lost two consecutive games for the first time since gaining promotion. They now visit struggling Real Kings, who are placed just two spots above the relegation zone. The Magic Boys are winless in their last three games. Get on TS Sporting to return to winning ways. Richards Bay have managed to stay unbeaten in their last seven games, five of which ended in draws. They head into this particular fixture off the back of two consecutive wins. On the other hand, Tshakhuma who were among the league title contenders at some point, have won two and lost three of their last five games. Richards Bay are tipped to win this one at home. Uthongathi beat Jomo Cosmos 1-0 at home last week to climb up to eighth on the log. The Cane Cutters make a trip to kwaNdebele, Mpumalanga Province to face inconsistent TS Galaxy who surprised the whole NFD world when they beat TS Sporting 1-0 away from home. This clash can go either way but I’ll follow my heart and back Uthongathi.